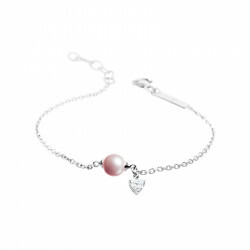 The collection La Vie en Rose is a hymn to love. 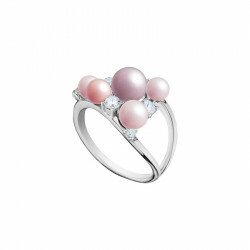 Soft and soft colors, this line of pearls of fantasy jewelry is a must in the world of jewelery and jewelery and consists of real silver jewelry rhodium, white cubics zirconia and a variation of powder-colored pearls in various tones in reference to the Akoya pearl. 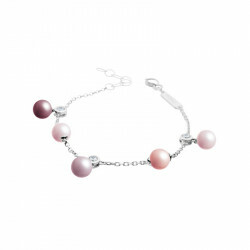 Specially created for women in search of elegance, the collection features silver rings topped with pink and purple pearls, classic or multi-stranded powder-coated bracelets, romantic pearl necklaces and earrings. fleas or pendants with discreet charm. 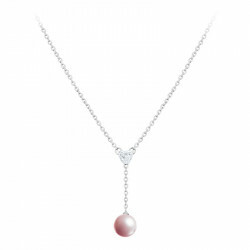 Prestige symbol, the pink pearl will highlight your charm and your femininity and sublimate a casual or cocktail outfit.